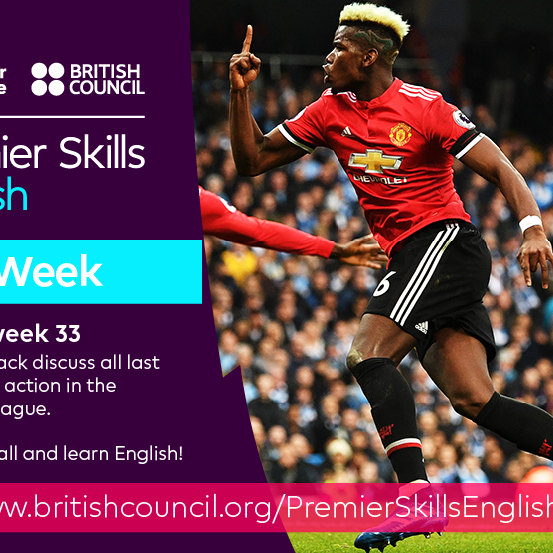 Welcome to This Week from Premier Skills English, a weekly review of all the action from the Premier League for learners of English from across the globe. In This Week, Jack and Rich talk about all of the weekend's action in the Premier League; the big headlines and the main talking points. We also ask you to get involved; do you agree with Jack and Rich's choices of best player, best team and best match of Matchweek 33? Make your prediction for next week's big match and tell us how your club or fantasy football team is doing. We welcome comments from all football fans and especially welcome comments from football fans who are learning English.